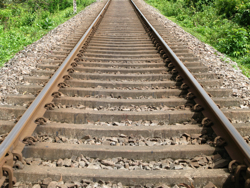 Project Control: Keeping your project on track. Project control addresses any issues thrown up by project monitoring. Slips in the programme, a hemorrhage in the budget or any other problems can be dealt with by assessing the impact, devising a new plan and putting it into action. Slow progress or delays could threaten your self build project schedule or the start dates for follow on trades. If it does, you’ll need to take action and find ways to pull it back. Have a look at your Gantt chart as there may be some ‘slack’ in the programme that can absorb the delay. If not you may have to discuss with your tradesmen the possibility of bringing in more men or putting in overtime to make up some time and meet the deadlines. Look for other areas in your itemised build costs where you can adjust the specification and reduce costs. Replace hired labour with some DIY! You could always just try to find more money and increase the budget – but remember – you set a budget for a reason! This is a day-to-day issue and if you are unhappy with the quality of work then you need to discuss it with whoever is responsible as soon as possible. If you need to, get a second opinion from your designer and don’t be afraid to tackle something you aren’t happy with. You are paying after all. You may have identified problems in your self build relating to some of the other project parameters and these will need addressing. Just remember that controlling the project effectively is dependent on good communication. If changes need to be made to get your build back on course, identify who is responsible, how it can be rectified and discuss the new plan with them. This page has talked about rectifying problems but don’t forget that a positive motivated project team will drive things forward and overcome problems more effectively. We all respond well to encouragement so give credit where it is due. Project control will inevitably lead to an adjusted plan of action which needs implementing, monitoring and controlling… and so the cycle continues, that is of course until completion.